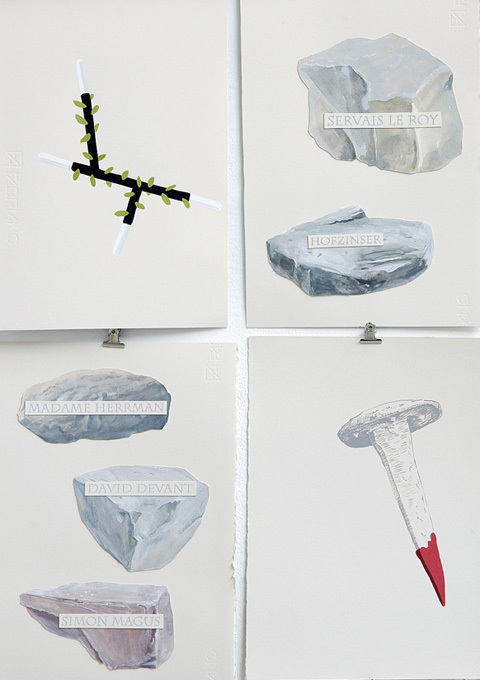 Simon Magus, 2007-8, gouache & collage on paper, 40 x 27 cm each. 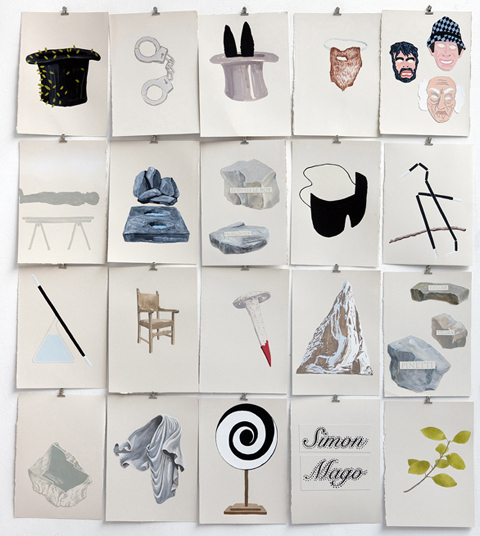 Simon Magus is an apocryphal sorcerer styled by early Christian apologists as the 'father of all heresies'. After beguiling the population of Rome with an impressive display of magic, Simon is said to have fallen to his death as he 'flew' over the Forum in Rome before the Emperor Nero, following the earnest prayers of SS Peter and Paul. The myth of Simon Magus exerts influence, however, beyond Christian apocrypha, with Simonianism [the cult associated with Simon Magus] playing a significant role in the origins of the western Gnostic tradition. Furthermore Simon Magus is considered one of the templates for the figure of Faust. Art historically, the magician was conventionally depicted as a defeated figure tumbling earthward – The Fall of Simon Magus - yet other compelling elements of his story remain unrepresented icongraphically: his ability to walk through mountains, cause dogs to speak, and turn rocks into bread, or grow a disguising beard at will. 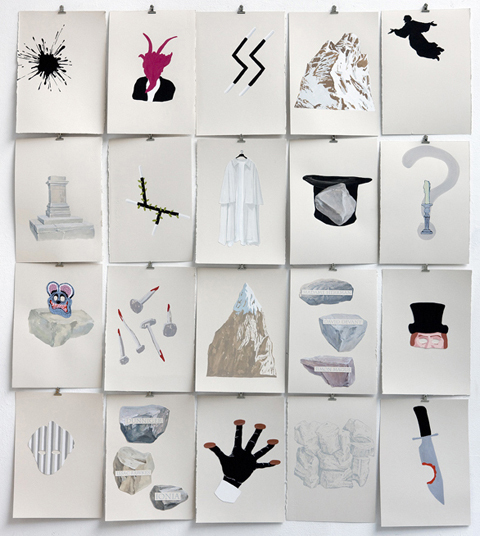 In a series of works on paper made during a period of residence in Rome, Allen draws on the fractured nature of the literary sources associated with this apocryphal figure.